Annual event gathers hundreds of rural leaders to learn from each other. Past Rural Policy Forum attendees gather for a group photo with the Arizona Rural Development Council Banner. 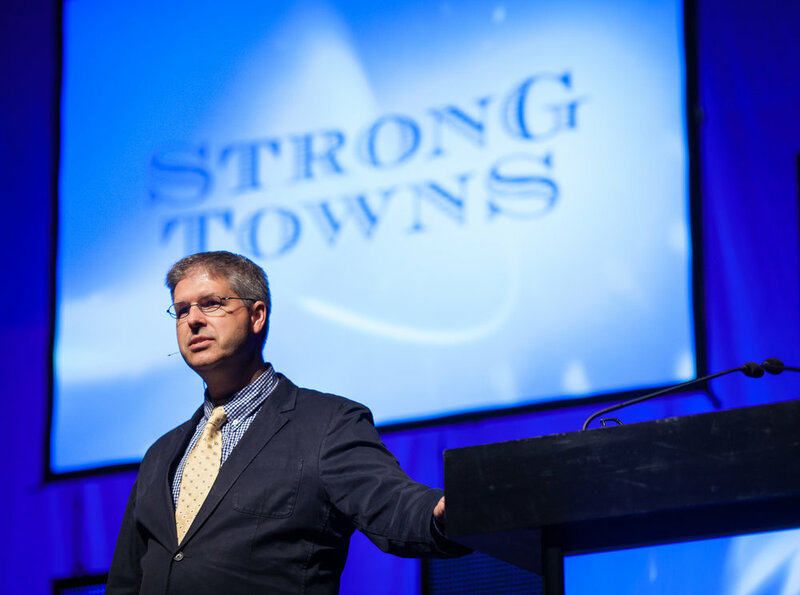 Charles Marohn presenting for Strong Towns. This year’s Rural Policy Forum keynote speaker is Charles L. Marohn, the Founder and President of Strong Towns whose mission is to support a model of development that allows America's cities, towns, and neighborhoods to become financially strong and resilient. He is also the lead author of Thoughts on Building Strong Towns — Volume 1, Volume 2 and Volume 3 — as well as the author of A World Class Transportation System. 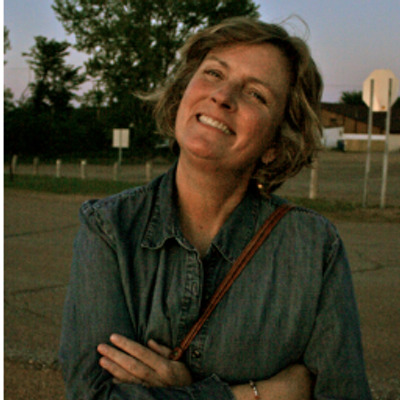 Additionally, Teresa Kittridge, VP and COO of the Rural Policy Research Institute (RUPRI), will present a keynote address to Rural Policy Forum attendees. Kitterage will present on a number of topics, including the work of RUPRI and the programs they offer like the Cultural Wealth Lab; RUPRI's collaborative work with Art of the Rural (AOTR) and addressing the critical need of arts and culture to rural communities; and discussing how RUPRI is utilizing collective impact investing and how rural communities can use this tool as an economic support system. Rural Policy Forum attendees enjoying one of the add-on social events following regular programming. Wickenburg Economic Development Tour, August 8, 12:00 p.m. - 5:00 p.m. - This year's economic development bus tour will feature in-depth conversations about what makes the Wickenburg region's economy hum. Stops include Del E.Webb Center for the Performing Arts, Martori Farms in Aguila, Date Creek Ranch, BearCat Manufacturing, Vulture City, and Meadows Behavioral Healthcare facility. The cost to attend is $25. Taste of Wickenburg, August 8, 5:30 p.m. - 9:30 p.m. - The Rural Policy Forum’s launch party will be at Desert Caballeros Western Museum (21 N Frontier St, Wickenburg, AZ 85390) and will feature a strolling dinner with cuisine from the region's best restaurants, live music, and a cash bar. There will be plenty of opportunities to network with Forum attendees and get ready for the conference’s activities ahead. The cost to attend is $25. Dinner with a View, August 9, 5:30 p.m. - 9:30 p.m. - Continue your Rural Policy Forum networking while dining in style following Thursday's sessions. Attendees will join fellow conference-goers under the stars at the Wickenburg Ranch and Social Club (430 Club Terrace Way, Wickenburg, AZ 85390), a world-class golf resort with fire pits and plenty of room to relax. The cost to attend is $30. Professional Development - The Rural Policy Forum is recognized by the Economic Development Academy of Arizona as a professional development event that counts towards credit of completion of one Module 1 course. Attendees can purchase the Module as an add-on to general registration to count towards their professional development for an additional $55.